We always knew the Bugatti Chiron was going to be faster than the Veyron, though we’re only just coming to realize how much faster it is—and the gap is mindboggling. 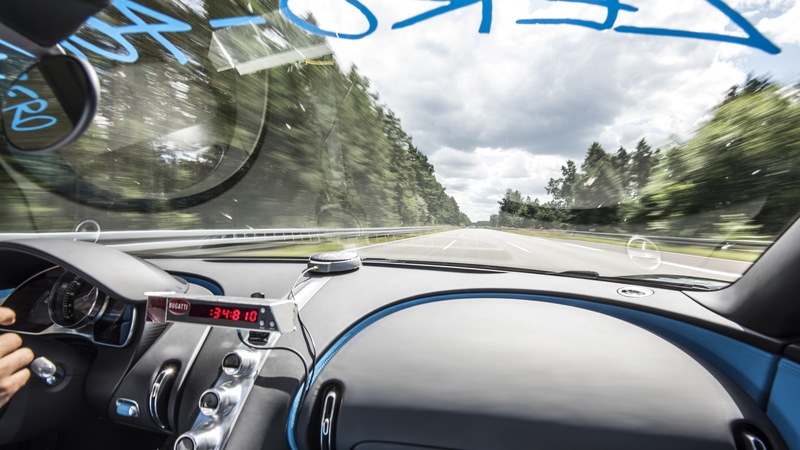 With racing driver Juan Pablo Montoya behind the wheel, a Chiron went from standstill to 248.548 mph (400 kmh) and back to standstill in 41.96 seconds, over a distance of 1.93 miles. According to Bugatti, that’s faster than what the Veyron Super Sport needs just to reach 248.548 mph. It’s a new record for production cars. In fact, the Chiron is the only car we have such a figure for. Independent certification firm SGS-TÜV Saar was on hand to witness the achievement which took place at the Volkswagen Group’s Ehra-Lessien test track in Germany. The comments are a dig at Koenigsegg which tends to boast of world-beating figures without backing them up. For example, Koenigsegg claims its One:1 will accelerate to 248.548 mph in "approximately 20 seconds." The Swedish firm also claims the One:1 can go from 248.548 mph to a standstill in "approximately 10 seconds." Neither claim has been demonstrated. When practicing for the record-breaking run, Montoya also eclipsed his own personal speed record of 252.898 mph set in an IndyCar racecar, though Bugatti hasn't said by how much. Montoya was particularly impressed with the car’s stability, so much so that he chose not to wear the usual safety gear such as racing suit, helmet or HANS (head and neck support) device behind the wheel. Getting up to such lofty speeds is achieved with a mammoth of a powertrain, in this case an 8.0-liter quad-turbocharged W-16 with 1,480 horsepower and 1,180 pound-feet of torque on tap. Slowing down is achieved via a powerful braking system that includes the aid of the rear wing which doubles as an air brake when needed. Bugatti claims Montoya would have felt a force of 2 g during braking, similar to that experienced during the launch of a space shuttle. He’s now hopeful of Bugatti allowing him to set the Chiron’s official top speed, a test scheduled for 2018. The speed to beat is the 267.855 mph set by the Veyron Super Sport in 2010. 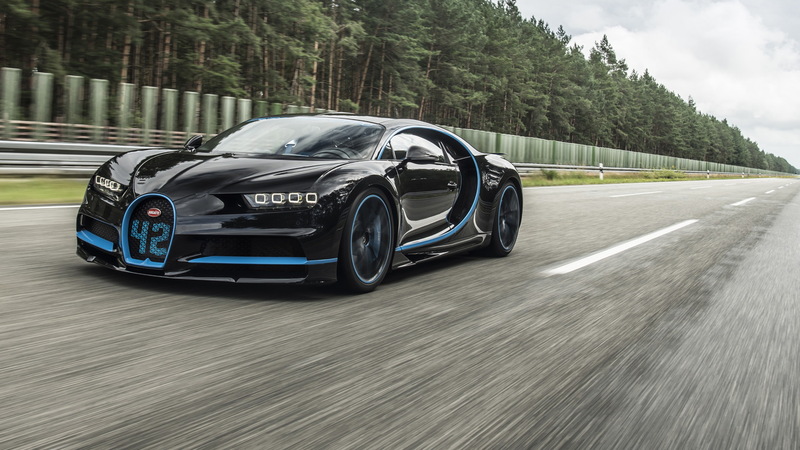 Currently, Bugatti limits the top speed of the Chiron to 261 mph. 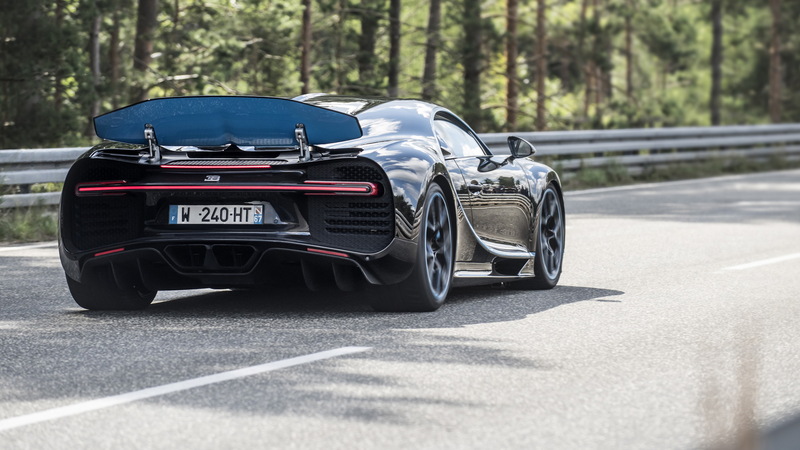 Bugatti now has 200 remaining build slots from an original tally of 500 for the Chiron. This record-breaking car will be presented on Tuesday at the 2017 Frankfurt auto show. To learn about some of the other vehicles appearing at the German show, head to our dedicated hub.